Georgia and Tennessee offer an annual workers’ compensation premium discount of 7.5 percent to employers with a certified drug-free workplace, but certification requires employee and supervisor training. We provide summaries of the states’ training requirements below. Learn about the Tennessee drug and alcohol employee education requirements here in our summary of the rules listing training requirements regarding the TN Department of Labor. We provide you with the essential need-to-know info in little time. 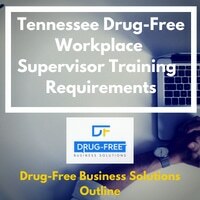 The Tennessee drug and alcohol supervisor training requirements are explained in the rules of the TN Department of Labor. We summarize the rules right here, and we crystalize it so that you can learn what you need to promptly. The Georgia drug and alcohol training requirements are explained in O.C.G.A. §34-9-417. We summarize the important points here, for both employee training requirements and supervisor training requirements. We’ve already structured the info in an easy-to-understand way.